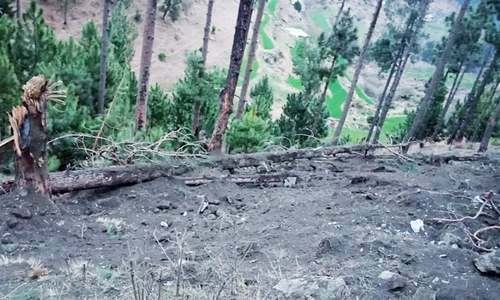 A FULL-SCALE war between Pakistan and India was averted last month because India’s hastily delivered bombs caused no damage; Pakistan’s response was measured, demonstrating capability but deliberately avoiding Indian casualties; and Prime Minister Imran Khan, apart from urging restraint, an impartial investigation and dialogue, released the captured Indian pilot as a ‘peace gesture’. Such gestures were, however, brushed aside by India’s prime minister. Despite India’s military reversals, Modi and his cohorts have told the Indian public that their ‘muscular’ response to Pulwama was successful. 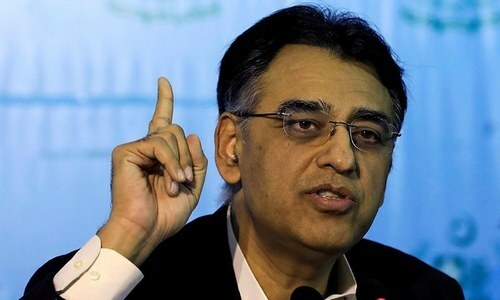 They will no doubt depict Pakistan’s recent actions against the affiliates of Lashkar-e-Taiba and Jaish-e-Mohammad as concessions forced on Pakistan by India’s military intervention and diplomatic pressure. 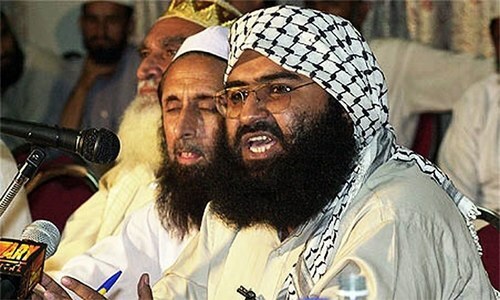 China’s continued ‘hold’ on the Security Council’s ‘listing’ of Maulana Masood Azhar — at Pakistan’s request — may blunt this boastful claim. Any belief in India that its military adventurism has ‘worked’ could erode the stability of mutual deterrence which Pakistan’s military response of Feb 27 re-established. 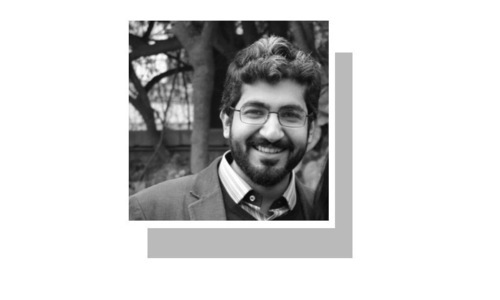 If New Delhi is convinced that Pakistan can be cowed by a combination of military and diplomatic pressure, it may feel emboldened in the next crisis to conduct military strikes at a ‘higher’ level. The BJP’s plan to ‘resolve’ the Kashmir ‘problem’ is to colonise it. Pakistan must, therefore, take steps to expose India’s falsehoods before, during, and after the military exchanges of Feb 26-28. It should advertise that India’s bombs destroyed trees and killed a crow. It must reveal to the world, including the people of India, how Pakistan could have destroyed Indian military targets but chose not to do so. 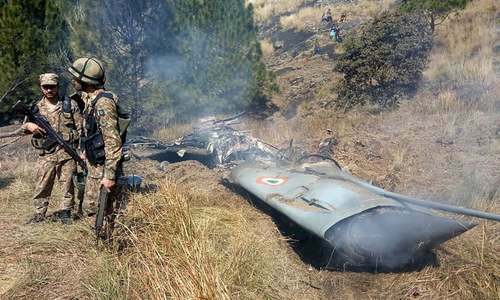 It should point out that India’s captured pilot could have been humiliated and India could have had its nose rubbed in the dirt by requiring a minister or its air chief to come and retrieve him. Finally, it should be made clear that Pakistan’s actions against militant organisations are designed to implement its own National Action Plan, not in response to Indian or other external pressure. Islamabad should not anticipate that Modi’s hostility towards Pakistan will abate after the Indian national elections. 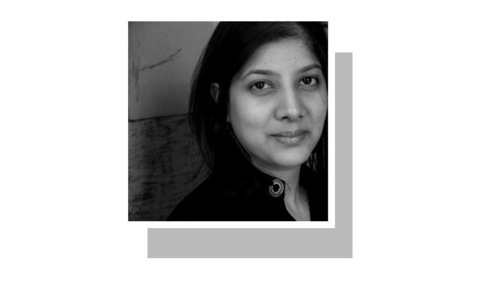 Apart from their ideological animus, if Modi and the Hindu alliance succeed in the forthcoming elections, it will reinforce their conviction that aggression against Pakistan and the Kashmiris is a winning formula. Unfortunately, India’s aggressive posture is being actively encouraged by the US which is now firmly aligned with New Delhi in its global rivalry with China. Pakistan enjoys some leverage in the context of Afghanistan; but this does not seem to have prevented Washington’s one-sided pressure on Pakistan during and after India’s military incursion. Yet, this does not imply that the Kashmir issue will fade away. Despite all odds — massive Indian oppression, over 100,000 killed, Pakistan’s frequent indifference — the Kashmiris have persisted in their struggle for freedom from Indian rule for over 70 years. The current uprising in occupied Kashmir is led by the third generation of Kashmiris. It is entirely indigenous. It has continued for four years without external support and is likely to be sustained. Like Afghanistan, Kashmir is mountainous, and India is a large and fractured country where active insurgencies are under way in 119 districts (according to former prime minister Manmohan Singh) and can find succour from various internal sources. The BJP’s plan to ‘resolve’ the Kashmir ‘problem’ is to colonise it and transform it into a Hindu-majority state. A first step in this plan would be to eliminate Jammu & Kashmir’s ‘special’ and autonomous status under the Indian constitution. If Modi and the BJP proceed with this plan, the Kashmiri resistance will obviously intensify. The Hindu fundamentalists may then be tempted to resort to the outright genocide of the Kashmiri Muslims. As the blood flows, the Kashmiri diaspora, and sympathetic Pakistanis, will seek to join the freedom struggle, including from Pakistan’s territory. The Pakistan government will then face a binary choice: facilitate the freedom fighters or fight them as ‘terrorists’. As Pakistan is compelled to extend material support to the Kashmiri freedom movement, war with India will become almost inevitable. Every war game of a Pakistan-India conflict indicates the high probability of its escalation to the nuclear level. Recent studies have concluded that a nuclear exchange in South Asia will kill over 100 million people, devastate the entire region and trigger a ‘small nuclear winter’ and global economic collapse. 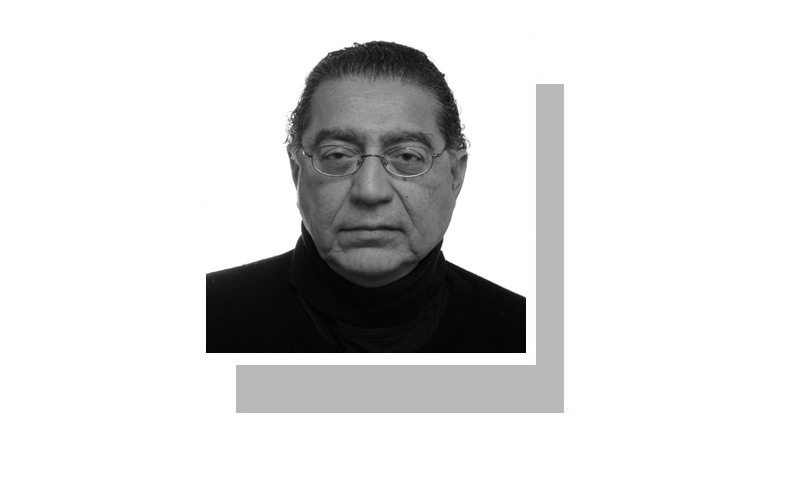 It is time for the international community to wake up to the existential threat which the Kashmir dispute poses not only to Pakistan and India but to the entire world. The UN Security Council must be activated to fulfil its Charter responsibility to prevent such a catastrophe. Pakistan must mobilise the international community to find a fair, peaceful and durable solution to the Jammu and Kashmir dispute. To this end, it should launch a well-planned and funded campaign to: counter Indian propaganda regarding Kashmir; reaffirm the legitimacy of the Kashmiri freedom struggle (which, under UN resolutions and international law, is entitled to struggle “ by all available means” for self-determination and to receive “moral and material” support in this struggle); press for an end to India’s massive human rights violations in occupied Kashmir; promote credible steps to avoid a Pakistan-India war, including arms control and CBMs; and demand an internationally endorsed dialogue, engaging Pakistan, India and the Kashmiris, to evolve a fair and mutually acceptable solution to the Jammu and Kashmir. Finally, Pakistan must not be shy to raise the Kashmir issue and the India-Pakistan conflict in the Security Council. The issue is on the Council’s agenda. Pakistan’s stance is based on UN Security Council resolutions. There will be no adverse Council decision against Pakistan so long as China stands with Islamabad. And China will find it easier to stand with Pakistan in defence of legitimate Kashmiri rights and the principles of the UN Charter, rather than to prevent the ‘listing’ of an individual. India has absolutely nothing to show after its latest surgical strike. Only hollow claims and Bollywood style fanciful propaganda. 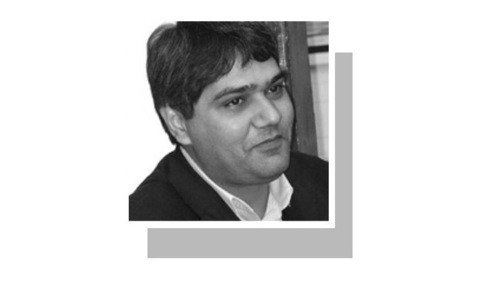 Good analysis on KASHMIR, the PTI government should pay attention to the views of the author of this article. The only peaceful, fair and and durable solution of the Kashmir problem is that it should be handed over to Pakistan ! Sweet words to Pakistani readers but the reality is different. @Akram, India has existed for thousands of years and will continue to do so. Thank you sir for your thoughts a pleasure to read. A powerful honest article by Mr.Munir Akram.Everything mentioned by the Writer in his article may very well come true. @P. S. Natarajan, it would be worthy of China as veto member to push UN to ask India to hand over Kashmir to Pakistan. @Yash, Yes and majority of the world thinks that India is the future. .. The BJP’s plan to ‘resolve’ the Kashmir ‘problem’ is to colonise it. --- A very Chinese idea. India came into existence like Pakistan in Aug. 1947. Before that it was a geographical area with individual sovereign countries like Europe. Mr. Akram, our divisive leaders have always been exploited by foreign powers throughout history. We keep hoping for good, wise leaders who will work for the common good of the people of the subcontinent. "It must reveal to the world, including the people of India, how Pakistan could have destroyed Indian military targets but chose not to do so." - No - We should have killed a bunch of Indians and sent a stern message. Excellent article as usual with sound advice. Sir, what did you achieve during your term as a Pakistan Ambassador to the UN? @Akram, Look who is talking. Are you talking from your own experience? if narratives of pakistan and India can match as far as possible. In behind the scene discussions. It will surely help bring peace. @ABD San Francisco, USA, "Sir, what did you achieve during your term as a Pakistan Ambassador to the UN?" What "achievement" is expected from an ambassador of a country in UN? Can you elaborate? @SyedChaudhryGangaDinKhan, "Yes and majority of the world thinks that India is the future." Of course it is. But everyone has a different image of India in the future. Everyone don't think it would be as RSS and BJP think. Indeed invaluable analysis, yet today's reality is economic interests. Till the time international economic interests are not converging with Pakistan's interests, our stance is less likely to heard comparatively to Indian. Best way could have been to make CPEC economic corridor independently instead of Pak-China strategic asset, but survival challenge is off-course bigger than of the protecting interests. Indian governments will never want to resolve Kashmir conflict in a peaceful democratic way because the Kashmiris them selves do not want to live under Indian military rule. Indians know this and hence the continued occupation of a country and people which do not belong to them. Written good for the public consumption, because we want such words and lines. But truth and reality is very different. Absolutely correct. Going by the stark contrast of Azad kashmir and IOK, where one lives in peace and harmony and the other in death, destruction, blinding, mayhem under occupation. On streets of IOK and Azad kashmir, pakistani flags fly. Your statement reflects reality and best solution. @Jamil Soomro, New York City, so? @Ron, Indian occupied kashmir, IOK. Forget about Kashmiris, manage Sindhis, Pashtuns, Balochis...till you have the time.